These outdoor lighting choices are as reliable as they are utilitarian. Lite Source provides an excellent look for all your outdoor functions. Illuminate your gardens, walks and sidewalks with a contemporary visage that complements your indoor d�cor as well. 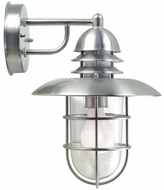 More Lite Source Outdoor Lighting choices will be coming soon, so be sure to check back!